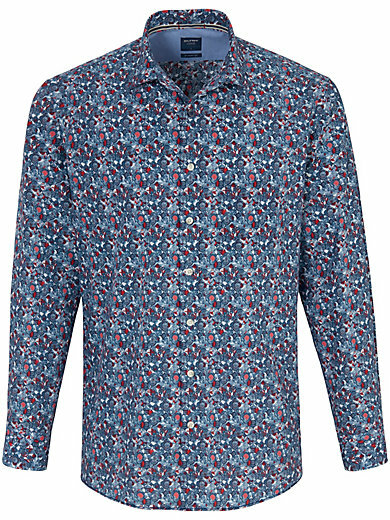 Shirt by OLYMP made from top-quality poplin featuring a chic print design. With a narrow Kent collar, contrasting trim on the inside of the cuffs and 1 breast pocket. “Modern Fit”. 100% cotton. Waist in size 41/42 approx. 112cm/44ins. The shirt is machine washable. Sizes: 9/40 (M), 41/42 (L), 43/44 (XL), 45/46 (XXL).